We travelled 5 weeks in India and 2 weeks in Sri Lanka and this is the worse room we've had. The sheets were dirty, looked like it was used by the employees. They changed the sheets. There was no light in the bathroom, they fixed it like they could. No proper lighting in the room, very dark. The bathroom was so disgusting that we didn't take a shower of even sat on the toilet bowl. Dead cockroach on the floor and my husband had to kill one in the sink. Horrible smell in the bathroom. Looked like it was never cleaned. The bed was very uncomfortable During the evening, there was a power cut due to thunderstorm. We had no electricity for 3 hours, so no AC. We finally got out of the room to ask about it to realise that we were the only one without electricity. No one was there to help us. My husband went to look for the electric box and fixed the breaker himself. We told the employee before we left Hopefully they will clean up a little. The room was simple and basic. The owner took me (for free) to the rock close to sigirya, which was a beautiful climb with a stunning view on top with no tourists at all. 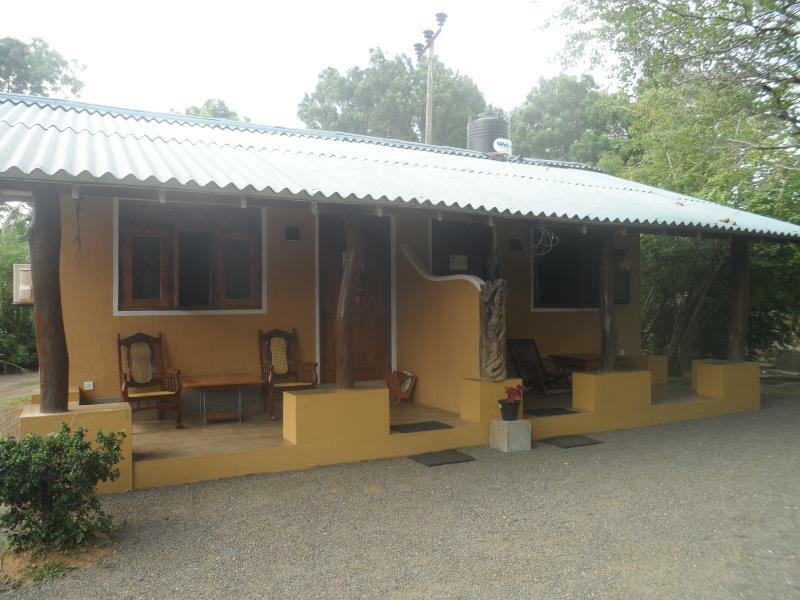 All and all a basic accomodation, but with plenty space and sitting area on the veranda with view on the country side.